KANSAS ESA ... A KALEIDOSCOPE OF M.O.R.E. Plan your year around membership and we'll have NET growth in Kansas THIS YEAR!! 1. Choctober is the membership rush month - and who doesn't love chocolate? 2. Check out the ESA website to find all kinds of assistance in growing your chapter membership! I look forward to working with all of you to grow Kansas this year. I am available if you want me to visit, provide resources ... please let me know! THE GREATEST GIFT YOU CAN GIVE ANOTHER PERSON IS TO SIMPLY INCLUDE THEM!! "ESA can offer you friends, fellowship, and opportunity of service. In ESA you can stretch your thinking, develop new ideas, and broaden your horizons. ESA offers more than a person can begin to imagine. You are whatever your dreams are, and ESA can help you attain it. We would welcome you into our social circle to become all that you can be. If you have questions or are interested in joining ESA please contact me by using the form below. We are eager to hear from you." If you pledge someone into ESA we now offer the opportunity to receive Jewel Pins at State convention. Check out the convention registration form to know who to contact to reserve a spot for your new member. It is meaningful and connects our members to the meaning and mission of ESA. Anyone can join ESA and you do not necessarily have to affiliate with a chapter. We also have an on-line chapter (Theta Rho). We do have a number of communities that have chapters or if you would like to form an ESA chapter in your own area we can help you accomplish that as well. Please feel free to contact us with your questions about ESA. We are seeking good people who share our vision and mission to be of service. Kansas State Council makes a commitment to building ESA in Kansas. Look at the membership incentives page. See what you or your chapter can take advantage of and do your part to grow ESA in Kansas! 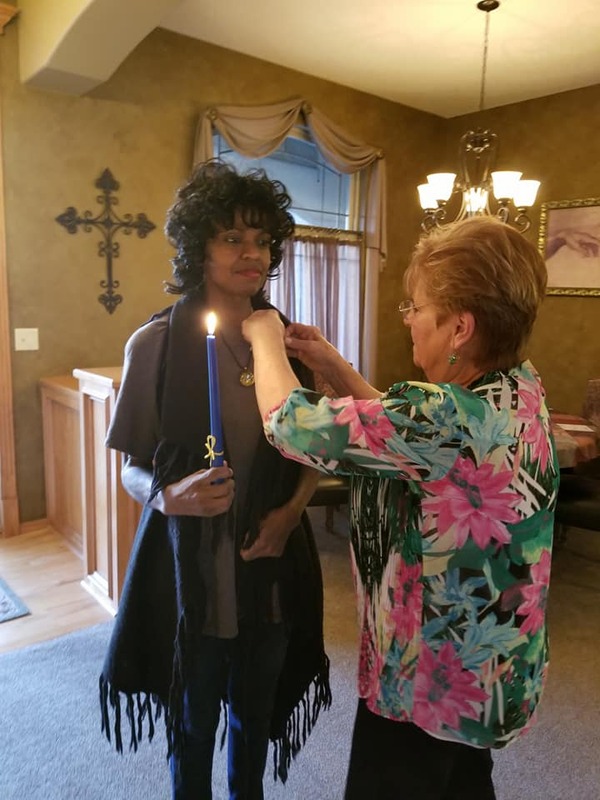 Kim Love is pinned by Sherry Marlow as she joins ESA as an Eta Rho member in 2018! Congratulations Kim and WELCOME to ESA!! Check out the New Membership Incentive Program page! We have a variety of membership options that fit the needs of our membership. Check our "membership programs" to find what fits your needs best. 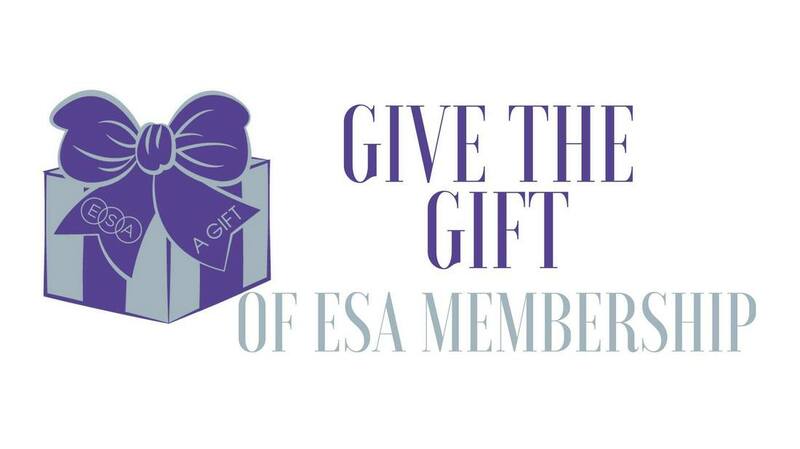 Membership in ESA costs $69 for the first year and $49 annually after the first year. ESA can follow you wherever you go. Our networking is a great way to find and meet new friends. We always welcome our members back when they have had to leave our association for any reason. We meet the needs and the circumstances of our member. ESA for life has been a very popular option for our members to have. We have found that once a member of ESA ... 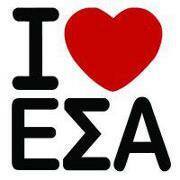 Always a member of ESA! The member center of ESA's website is a place to go for recruitment materials. Also you can order "Friendship to-go-Kits" from ESA Headquarters. They are small enough to carry in your purse and have ready when you meet that special NEW person. There are many other recruitment ideas as well. Check out the "Spirit Guide" as well if you want to form a new chapter. Build ESA's future! I will have been in ESA Gamma Omicron for two years on April 1, 2014. I look forward to seeing friends every month at our meeting, socials and working at our philanthropic projects. I always wanted to volunteer at one of our local churches that serve free meals. The past two years I have gotten to help cook and serve the meals while visiting with friends. This volunteer opportunity is fun for me and I like that we are helping others while we get to enjoy each other’s company. Working at Ray’s Apple Market is another one of our philanthropic projects that I enjoy. It is important to me that all the money is donated to projects that make a difference in the world. I get to visit with lots of friends that I have not seen in a long time and often get to share ESA’s goals with them. ESA cares about the poor, children, families and other ESA members. I feel honored to be a part of a group that generously give to State and national organizations, especially St. Jude’s Children’s Hospital. Giving to our local organizations that help children and families is another goal that impresses me about Gamma Omicron. I am a social worker and visit many families who use the services from these same organizations. It means a lot to me to be a part of a group that helps the homeless and families in crisis. Being a member of Gamma Omicron means having friends who I can share laughter, stories and goals while learning and being challenged. Thankfully, Brenda invited me to be a member of this special organization. I feel blessed to be in ESA Gamma Omicron and hope in the future to help recruit new members.